“Mido Multifort Extra Super Automatic” The name says it all! 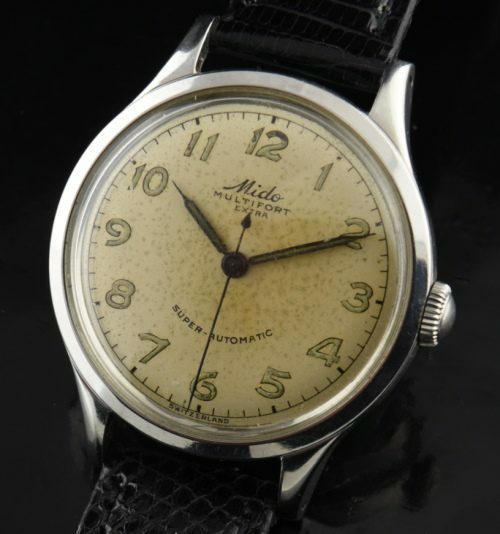 This MIDO is from the late 1940’s or early 50’sand is the large version of their WW2 era watches, measuring almost 34mm. and having an all dial appearance, with short lugs and narrow bezel. I love the look. The original dial has BEAUTIFULLY aged! The pencil hands are original. The automatic bumper winding MIDO movement was just cleaned and is accurate. Don’t you love the exaggerated Arabic numerals? 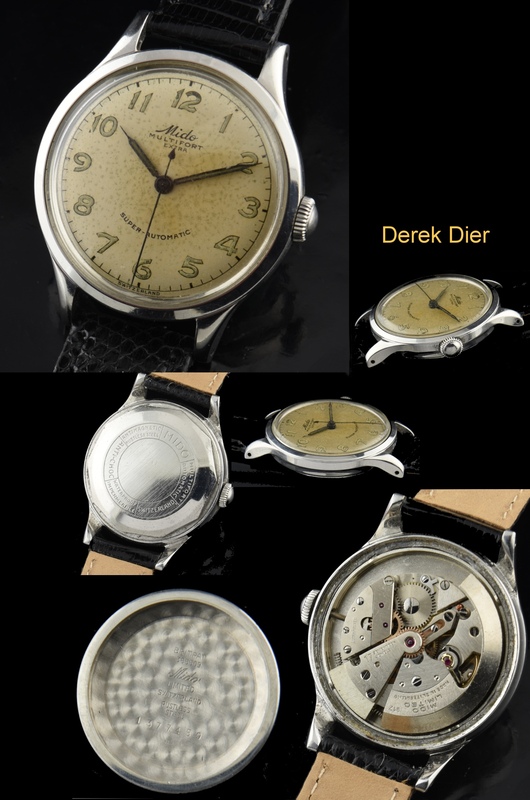 A very cool 1940’s automatic watch at a great price.